6 months is an age where baby needs more food other than milk to satisfy her hunger. Well, it’s the perfect time to introduce semi-solid foods to your little one’s diet. Baby food should contain all the essential nutrients for the proper growth and development. 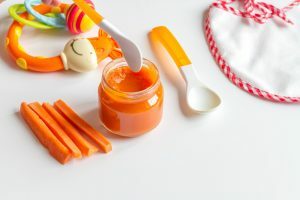 Foods that are easy to digest and soft in texture are top most preferences when we talk about baby food. Also, you should inculcate healthy eating habits from the very start. Healthy food also helps to boost your kid’s immunity. The most common questions revolve around how to feed these to your baby. 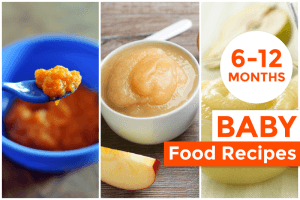 We bring you some easy baby food recipes to include in your kid’s schedule. These are easy to prepare and come with great health benefits. It is high in fiber and water content, both of which help to prevent constipation. Serves as a great option for 7-8 month baby food. Take a broad slice of papaya, peel and de-seed it. Dice it into small cubes. Mash it with a masher or fork and make a semi solid paste of it. You can also add a small quantity of milk to make it a little more liquid if you feel that your baby is facing difficulty in swallowing the thick mushy paste. Steam the papaya cubes (before mashing) a little to enable much easier digestion. 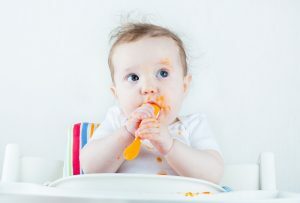 Serve the papaya mash to your baby either a little warm or at room temperature. Note – Avoid giving it, if your baby is allergic to latex (rubber). Opt for a fully ripened papaya, as this protein is primarily found in the unripened fruit. It is mildly sweet, filled with fiber and rich in vitamin C.
Ingredients – 1 sweet ripened apple, water and cinnamon powder. Peel, slice and chop the apple finely. Do remove the seeds. Place the chopped apple in a saucepan and pour a half inch of water in it. Bring the apples to boil and then lower down the flame. Cover and simmer slowly until the apple chunks are tender, for about 10-15 minutes. Avoid overcooking the mixture as it may cause the paste to be watery and tasteless. Instead, remove the apple chunks from the pan and mash them well with a masher. You can reduce the thickness of puree by adding more water if required. Sprinkle cinnamon powder onto the mixture. Serve warm or nice and cold(for teething babies). 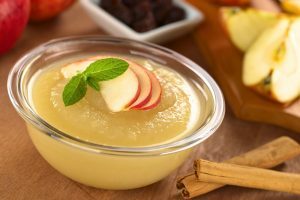 Note – Avoid applesauce altogether if your baby is constipated or prone to constipation. Ingredients – 1 slice of ripe papaya, 1 peach, and whole milk yogurt as required. Peel the slice of papaya and de-seed it. Peel the entire peach and de-seed it. 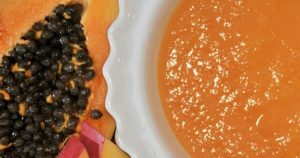 Mash the papaya and peach or puree them by blending it in the mixer. Blend together the mashed/pureed peach and papaya. Add plain yogurt and mix it well. Serve the dish to your baby a little warm or at room temperature. It is an excellent source of beta-carotene, which turns into vitamin A in the body. Being one of the healthiest options in food for babies, carrot helps improve the vision. Wash and peel the carrot. Dice it into small pieces. Carrot puree is ready to serve. A good source of potassium, dietary fiber & vitamins which give high calories. Puree or mash them in the blender until smooth. Add water to reach the desired consistency. Sweet potato puree is ready to serve. These nutritious food recipes are must to have in your 6-month baby’s diet. 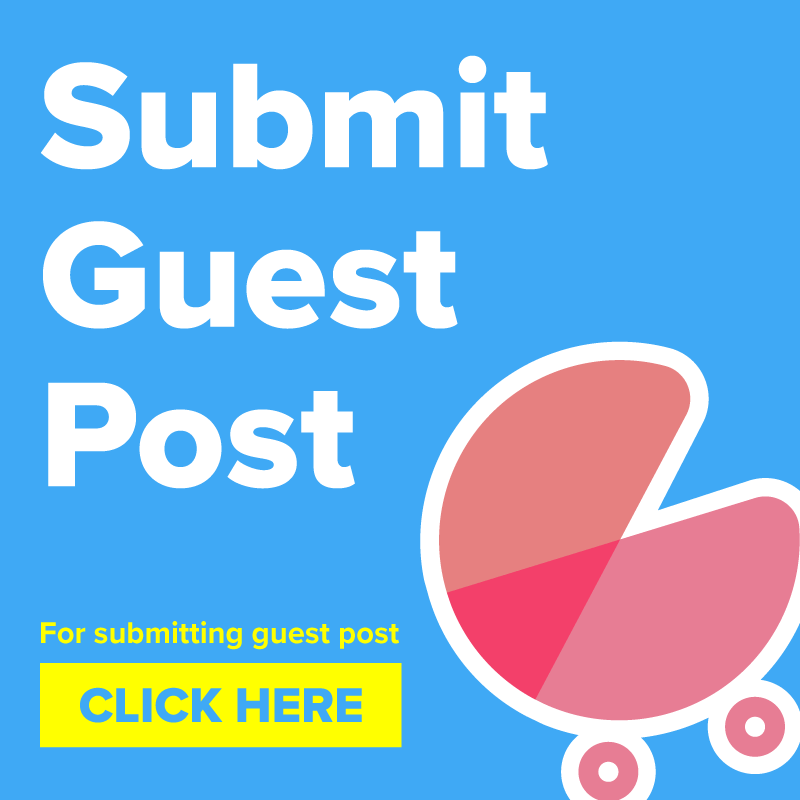 Read here to learn how to make eating a fun time for your baby. Write to us in the comments section below to know more recipes for your baby’s food. Thank you so much for all the recipe, I will try all of them. Please can I store them in the fridge. Really very nice recipes,my baby is enjoying a lot thank you so much..
My baby is 4 days away from being 5months. Sarted eating cereal at 4months as per pediatrition’s recomendation. I have started introducing her to veggies and prefer making it myself. I love these recipes and she’s enjoying some of them already. Though do not give any food item which your paedatrician hasn’t permitted as your baby is still too young. I’m planning a trip with my 10 month old next month and I plan to take frozen home made food for the entire length of the trip – 5 days. She has been having 3 solid meals with 2 snacks during the day. I plan to take the food frozen in breastmilk bags, in an insulated cooler bag on the journey. On arrival (after around 9 hours of total travel time), I’m not sure if I will have a freezer in my room. Now if I can only refrigerate the food, will it last for the next 4 days? Please help me with this. Hello, Sindhu. It depends if it is really constipation. Sometimes breastfed babies don’t poo for a few days in a week. You can try giving raisins solution to the baby. Take 5-8 raisins with seed in half a cup of water and boil this for 5 mins till you feel the raisins have soaked well. Then smash the raisins in water and strain and give this solution to your baby. Do not over feed this to your baby. Just a little amount would do. 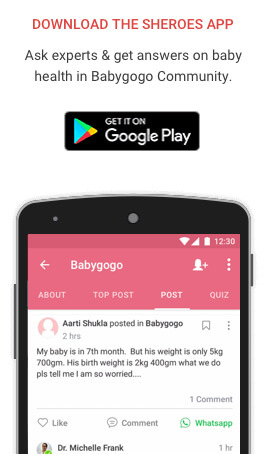 Thanks for giving such a wonderful recipes for my child as I had not aware of all these things at the time of my first child..it’s wonderful to be a part of babygogo.. Thank you for the lovely words dear. Did you try any of these recipes? Which recipe does your baby like the most?